When in the South have lunch at chez Rosy. 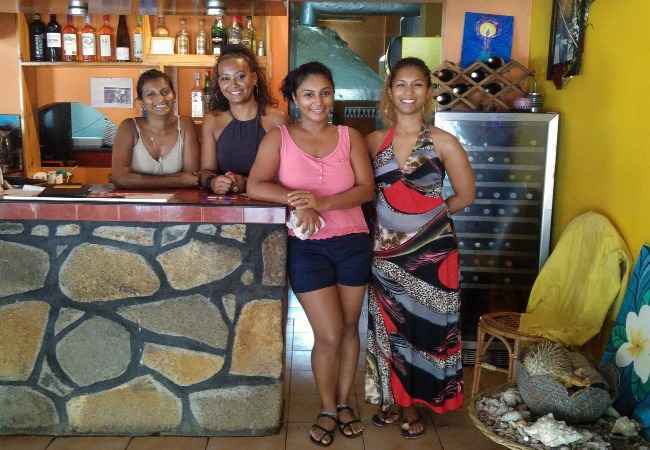 This Mauritius restaurant offers you delicious traditional Mauritian dishes. Seafood, chicken and local vegetables all lightly spiced with our island flavour. A tasty banana or pineapple flambé will complete your meal. 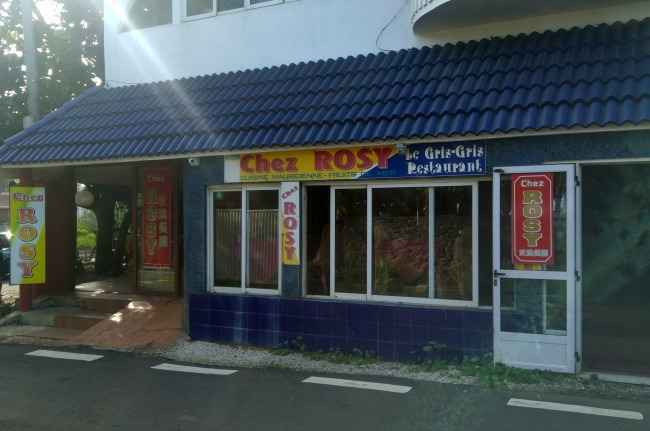 Chez Rosy is named after Rosy Goundel who started the family restaurant 26 years ago. Rosy and her daughter Nadia will give you a warm welcome. Enjoy your creole feast! Chez Rosy is famous for fresh lobsters. Their speciality! As you can see on the menu they are prepared in various ways. My favourite is simply grilled. 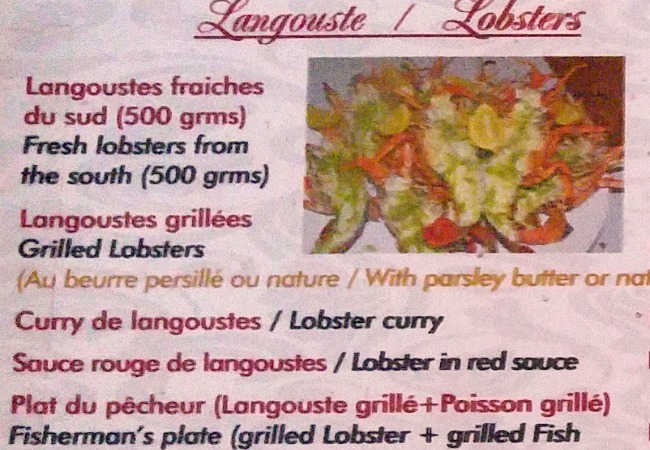 By the way if you are planning to eat lobster you should phone the restaurant the day before to order. Their seafood curry or vindaye is out of this world. You can choose between fish, octopus and chicken. 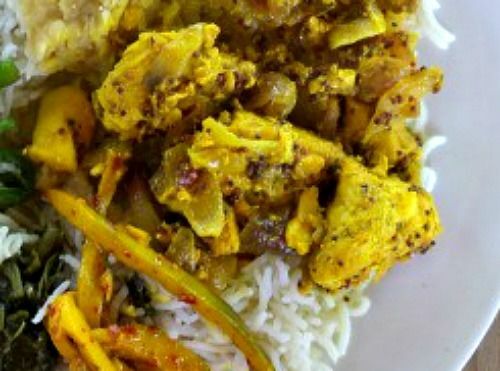 Vindaye is a popular Mauritian dish with the main ingredients marinated in saffron, onions and spices. Try the creole daube made with tomatoes, ginger and fragrant herbs. If you are vegetarian you’ll be well looked after. This part of our coast is wild and beautiful. There are no reefs here so the sea is rough. 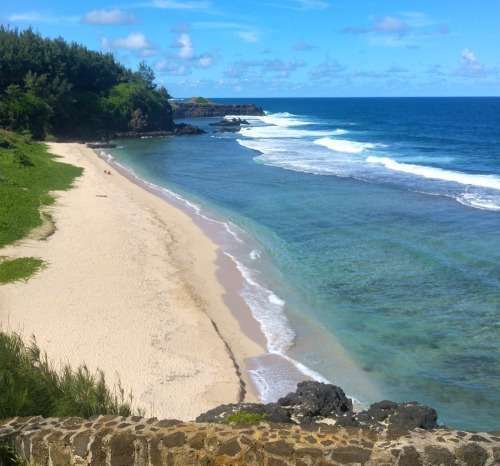 In the morning why not visit the nearby Gris Gris beach which is down the road from the restaurant? Afterwards walk alongside the cliffs to le Souffleur. The nature walk and sea air will no doubt increase your appetite! After lunch you could take a scenic drive alongside the South coast towards le Morne driving West. You could drive up the mountain through the Black River Gorge forests and then down to Tamarin via the Coloured Earth in Chamarel. You could turn right towards Grand Bassin to visit our holy lake. The restaurant is in the laid back village of Souillac on the South coast. About 100 meters from the beautiful and wild Gris Gris beach. You can park in the public parking above the beach and then take the short walk to the restaurant up the road. You can’t miss it. It’s on the right side. This authentic no thrills Mauritius restaurant is family run and will have you coming back for more!